But Prettier doesn't do all languages. Notably HTML. It's great at JSX, and I've gotten really used to enjoying that. But then when I switch to a Rails .erb template or a WordPress site where I'm editing a .php file, or even a plain ol' .html file... no Prettier. They have a development branch for it, but I haven't tried that yet. For now, I was compelled to try an HTML prettification tool that's been out in the wild and through the ringer. 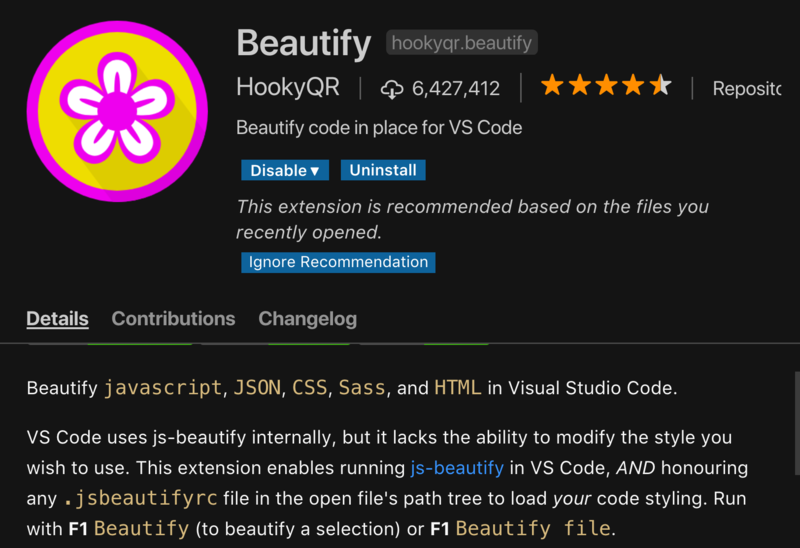 The VS Code plugin Beautify does it and has 6.5 million installs, so that seemed like a good bet. By using this plugin, that means you can configure it, rather than use VS Code's internal version of it which is apparently non-configurable. The first time I tried this, I found that it made my Prettier stop working. That was unacceptable to me as I want Prettier to be the top priority formatter. I'm not sure if it was running both of them but placing Prettier last, if it was running Beautify on its own instead, or exactly what, but I couldn't figure it out at the time. Now I can have Prettier doing all the languages it does, and fall back to Beautify for the HTML stuff that Prettier doesn't do yet. So far so good. In an earlier blog post they also talked about the browser based version. So you can put it into Codepen. That seems like an amazing feature. Thank you! I literally just had this issue a couple of weeks ago! The problem with “You press save and code is formatted” is, that third-party code (namely code from some ignorant co-workers ) would not be beauty when viewing it.